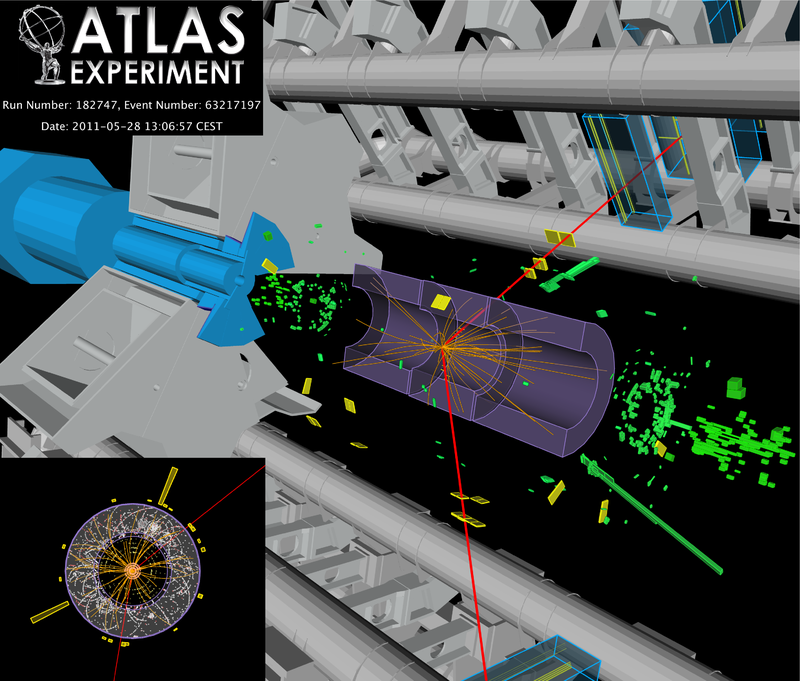 The two CERN collaborations, ATLAS and CMS, are trying to independently find the Higgs and confirm each other’s results. Each excludes a standard-model Higgs above 135GeV at above 95% confidence (to about 450 GeV if I recall) and ATLAS finds an excess around 126 GeV consistent with a Higgs at this mass. CMS finds a very slight excess, slightly displaced from (around 124 GeV) though roughly consistent with the ATLAS result. It’s not a detection yet (ATLAS would need more statistical significance on their excess), but it’s tantalizing. They’ll continue running and analyzing data next year, and hopefully we’ll know for sure!